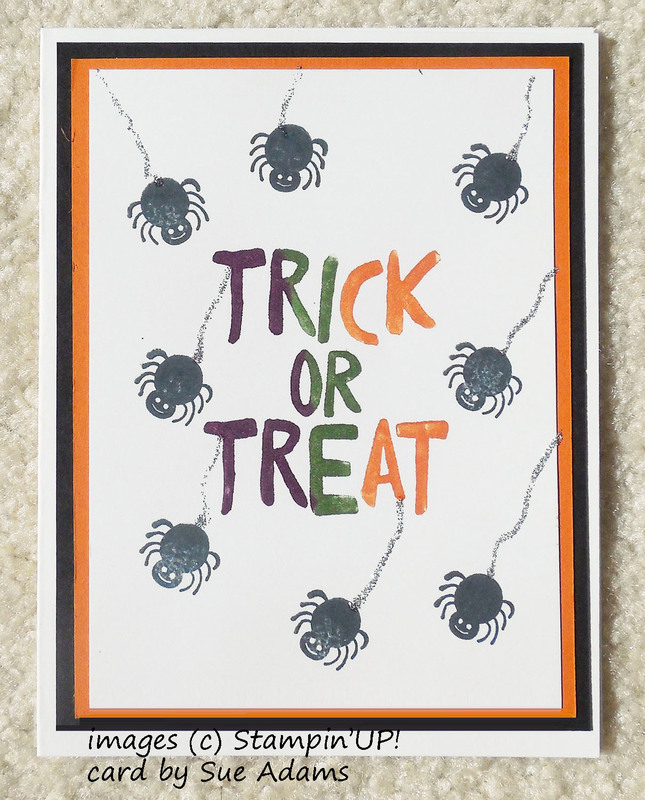 Sue stamped the spider randomly and used Silver Dazzling Details glitter glue to make the spider's thread - because even a spooky Halloween card needs some sparkle, right? 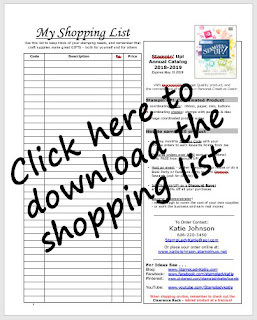 My granddaughter would love doing this. There's no wrong way to make this card, the spiders can go anywhere. Of course I might want to help her with the glitter glue part, but really . . . its so easy to squeeze out I think she could handle it. Sue used markers on the sentiment stamp to get the multi-colored effect. Great combination, right? Pumpkin Pie, Old Olive and Blackberry Bliss. My granddaughter is pretty little so I'd probably have her stamp it in just one color, but I'm sure older kids can handle markers on the stamp just fine. 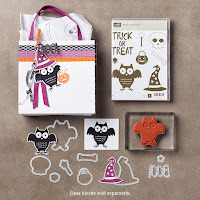 Both the sentiment and the spider are from a set called Howl-o-ween Treat. The set comes in either clear mount or wood mount. AND there's a matching set of framelits available if you want them. Cute, cute cute! An owl, a witches hat, the creepy skull and a bone. And I find that I'm using the word BOO! on a lot of projects. 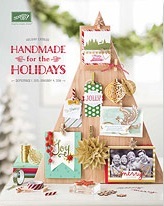 You can buy the framelits separately or Bundle the Stamps and Framelits and save 15%. 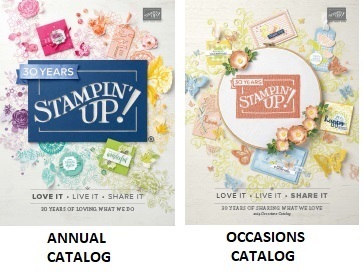 I'm so excited that Stampin'UP! is making matching sets like this. It really expands what you can do with a set. 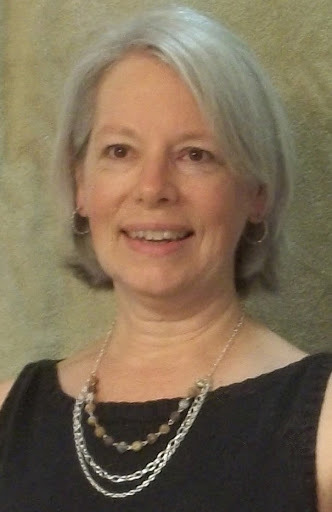 Thanks for Stopping by: If you see anything you like I'm happy to help you get the product or just to consult and explain further how the project was made. Really, its all about just having fun with our hobby. 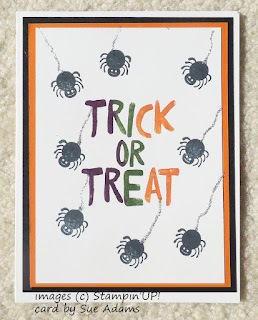 Cute Halloween cards. 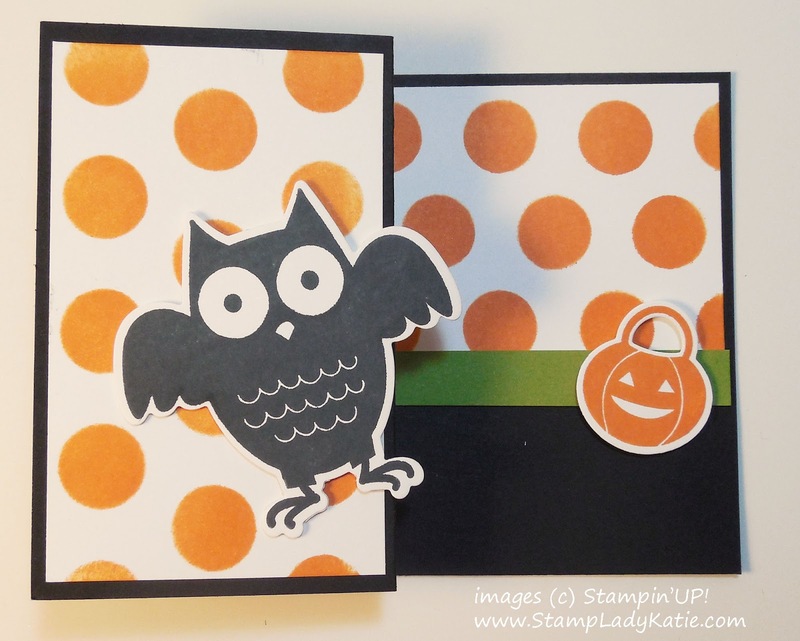 I especially like the simple fold on the owl card. I'll have to try that sometime. Thanks for sharing your creativity!